I made this build to have the max firing distance for Sgt. Hammer and to have the max possible damage. It works well to take out forts as well as hero's. When you fire the BFG try to fire it towards their core so when it travels the map it hits their core/forts over and over. Usually you want to fire it down the middle lane so it keeps punishing the most direct lane and hits forts/core. 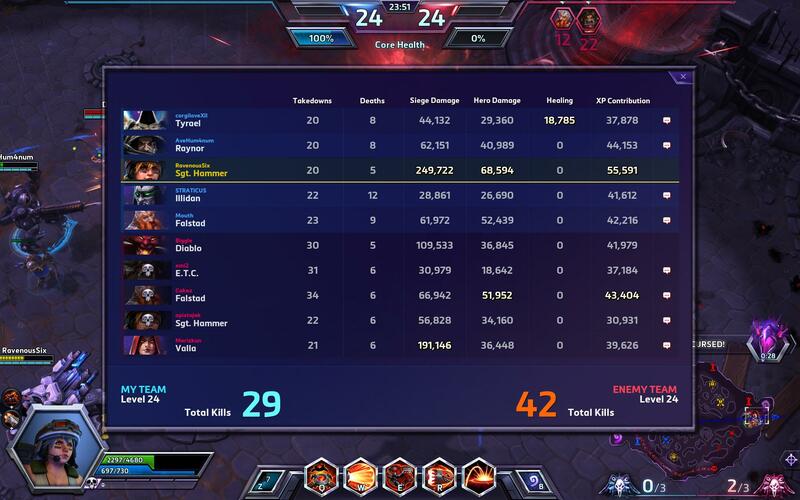 This is what's usually possible 200K Siege and 70-90K Hero damage, usually top XP as well.